GR: A few years ago, Brazil finally realized that cutting down the Amazon rainforest was causing drought, an effect that Alexander Von Humboldt explained two centuries earlier. The country made an effort to preserve its forest. Then we saw oil prices fall, rampant corruption exposed, and the wealthy had to shift their hungry eyes. The oligarchs replaced conservation sentiments with the old standby, harvest and sell natural resources. 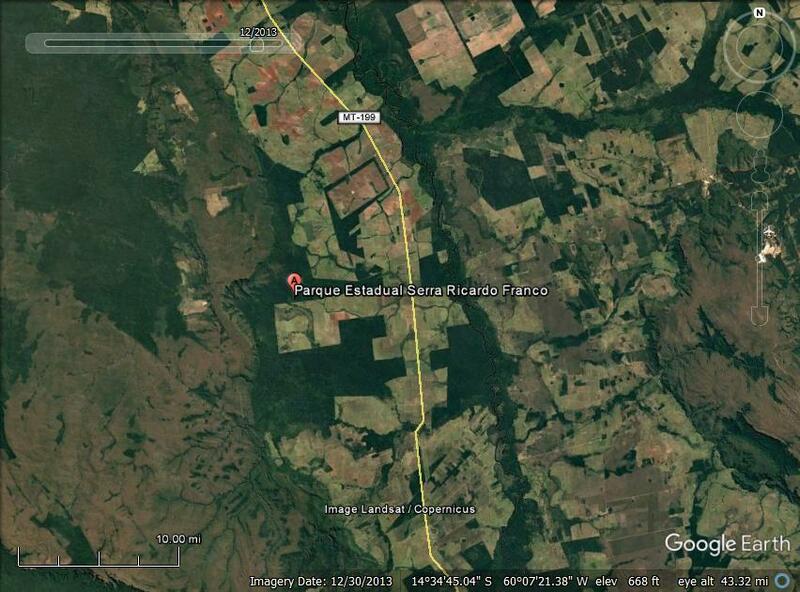 In Brazil’s case, this has often been irreversible logging or simply clearing for pasture of the ancient rainforest. The loss of indigenous and migratory wildlife is a sad example of how human greed is destroying the natural world. 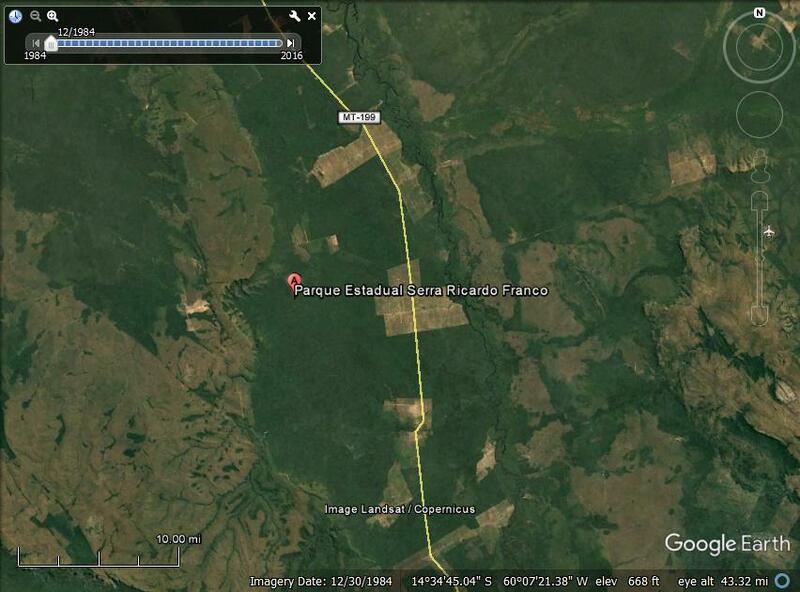 I used Google Earth’s history function to show the forest’s destruction in around the Serra Ricardo Franco state park. You can see that destruction accelerated after 1993. It slowed between 2003 and 2013, but that’s because not much was left. Nevertheless, efforts are underway today to harvest the remnants. The excellent article below describes what’s happening now to the Amazon Rainforest. “Today, orange dirt roads, cut into the forest by illegal loggers, lead you to the north-western flank of the elevated hilltop. Now called the Serra Ricardo Franco state park, this is nominally a conservation area set up with support from the World Bank. Instead of forest, however, you find swaths of land invaded by farmers, stripped of trees, and turned over to pasture for 240,000 cows. 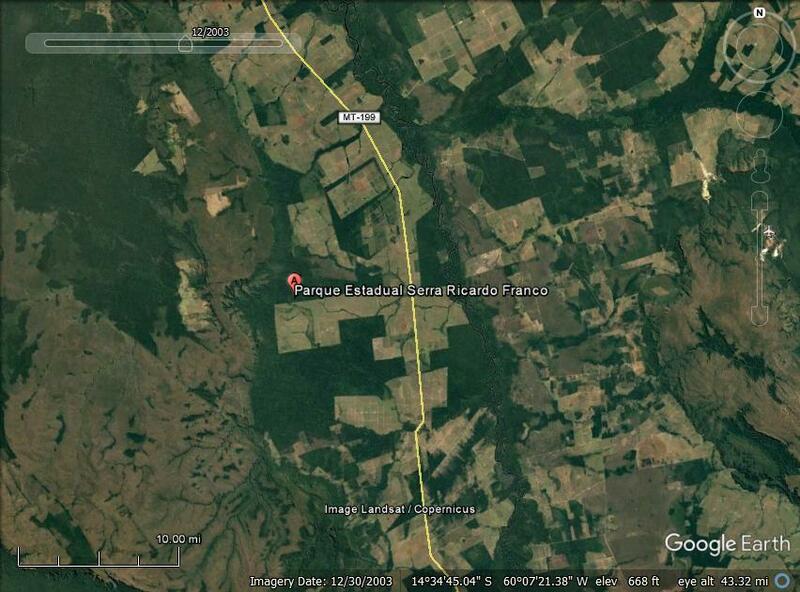 There are even private airfields inside the park’s boundaries, which exist on maps only. “Far from being an isolated area where a wanderer might starve, this is now – despite its dubious legal status – one of the world’s great centres of food production. In recent months, it has also emerged as a symbol of the resurgent influence of a landowning class in Brazil who, even more than in the US under Donald Trump, are cashing in on the destruction of the wild. 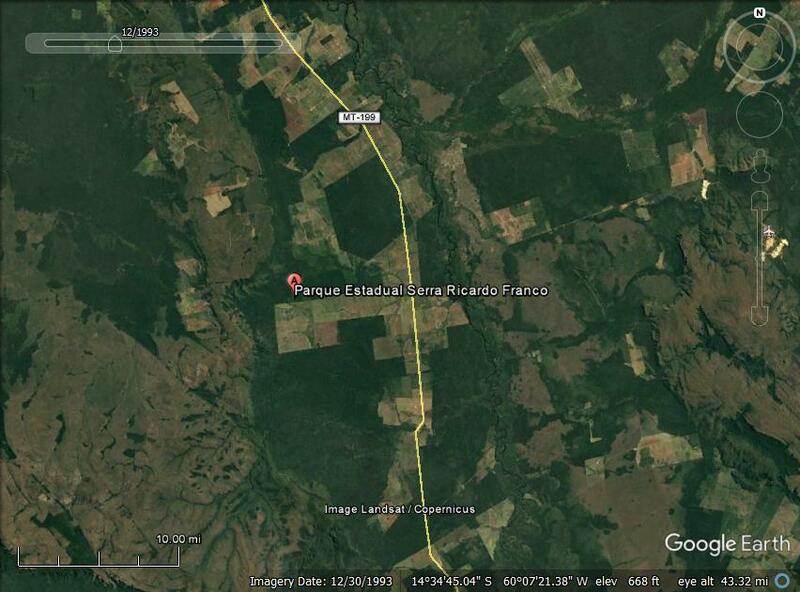 “Locals say a member of President Michel Temer’s cabinet – chief of staff Eliseu Padilha – owns ranches here on hillsides stripped of forest in a supposedly protected park. The municipal ombudsmen told the Observer the cattle raised here are then sold – in contravention of pledges to prosecutors and international consumers – to JBS, the world’s biggest meat-packing company, which is at the centre of a huge bribery scandal. “These allegations are denied by farmers but there is no doubt the government is easing controls as it opens up more land for ranches, dams, roads and soy fields to meet the growing appetite of China. Last year, Brazil reported an alarming 29% increase of deforestation, raising doubts that the country will be able to meet its global commitments to reduce carbon emissions. Rather than an aberration, this appears to mark a return to historical norms for a country that has been built on 500 years of land seizures that were later legalised by the politicians who benefited from them. The endangered Tatu-bola Armadillo, the mascot of the 2014 World Cup is disappearing along with many other inhabitants of the forest (belizar73/Getty Images/iStockphoto). This entry was posted in Deforestation, Extinction, Livestock Grazing, Nature Conservation, Wildlife and tagged Amazon rain forest, Climate Change, deforestation, extinction, livestock by GarryRogers. Bookmark the permalink.